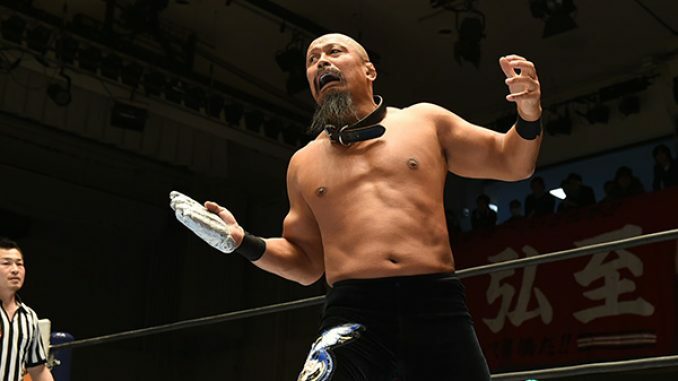 New Japan Pro Wrestling has announced their big cards over the next few weeks, which include Takashi Iizuka’s retirement show next week, the Honor Rising events, and the Anniversary card in March. Iizuka will team with stablemates Minoru Suzuki and Taichi against Kazuchika Okada, Hiroyoshi Tenzan and Toru Yano in the main event of next Thursday’s New Japan Road event at Korakuen Hall. The story leading into the match has been Tenzan attempting to “awaken” Iizuka and revive their friendship. The Honor Rising shows on February 22nd and 23rd will feature six titles altogether between New Japan and Ring of Honor. New Japan’s 47th-anniversary card will take place Wednesday, March 6th at Korakuen with two title matches announced. Taiji Ishimori will defend the IWGP junior heavyweight title against Jushin Thunder Liger, who is an 11-time champion and last dropped the title in July 2000. The other championship will feature Shingo Takagi and Bushi defending the IWGP junior heavyweight tag titles against Roppongi 3K. These shows will be followed by the annual New Japan Cup tournament, which begins Friday, March 8th and will feature 12 shows and the finals taking place Sunday, March 24th. The winner of the tournament will challenge for the IWGP title at the G1 Supercard on Saturday, April 6th at Madison Square Garden.